View cart “Plain Mary Jane Vegan Hemp Lip Balm” has been added to your cart. 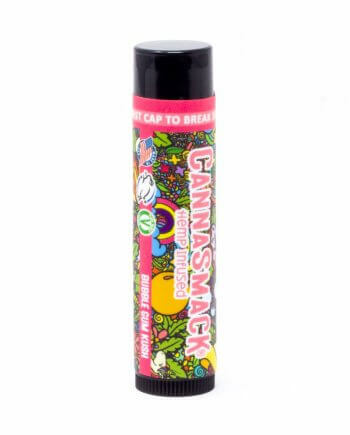 We’ve been trying to keep our cool, but we can’t help but go absolutely bananas for this NEW vegan lip balm flavor. Our silky smooth formula is adored by even the most sensitive lips. 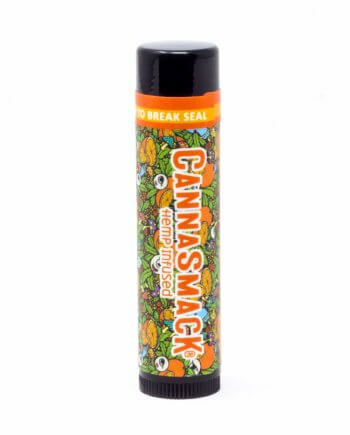 Infused with premium hemp seed oil, paired with a formula of all natural ingredients, CannaSmack offers reliable hydration with vitamins A, B, D, E and Omega 3&6 fatty acids. This limited edition label is a collaboration with world-renowned visual creator and teacher Chris Dyer. 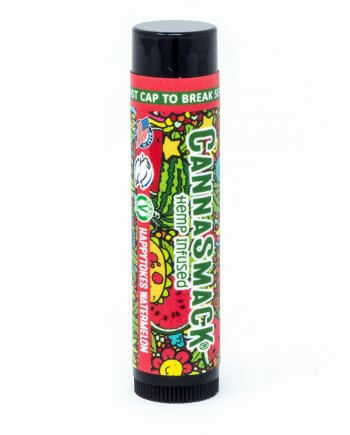 All Natural & Vegan Hemp Lip Balm Ingredients: Capric/Caprylic Triglycerides (Fractionated Coconut Oil), Cocoa Seed Butter, Candelilla Wax, Sunflower Seed Wax, Flavor, Sunflower Seed Oil, Cannabis Sativa (HEMP) Seed Oil, Tocopherol, Stevia Extract.